Revellers in dinghies left a trail of destruction Saturday June 1, 2013 after an unlicensed ‘Canalival’ party in Regent’s Canal, Hackney. 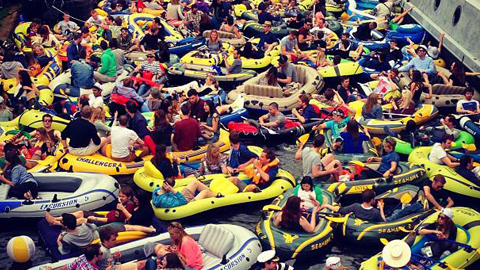 Thousands of alcohol-fuelled merrymakers chose to ignore last minute efforts to cancel the party due to safety concerns and filled the watercourse with inflatable boats. 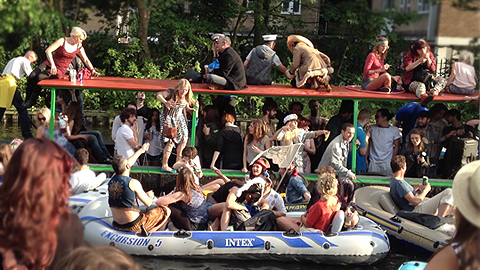 The frenzied floating carnival left a trail of devastation along Regent’s Canal at the weekend when the unlicensed event spiralled out of control. 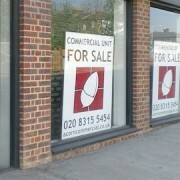 It made its way from Gainsborough studios in Hoxton to the Broadway Market in Hackney until finally ending around 8 am on Sunday June 2. Grace Eagle, who happened to be passing by bike, described the festivities as ‘an organised chaos’. She saw lots of people and dinghies in the water but didn’t see anyone swimming. “It was a weird mixture of people. Some were with dinghies, wearing special outfits and mostly wasted while others only had heard about the ‘Canalival’ and came down to watch it”, she added. 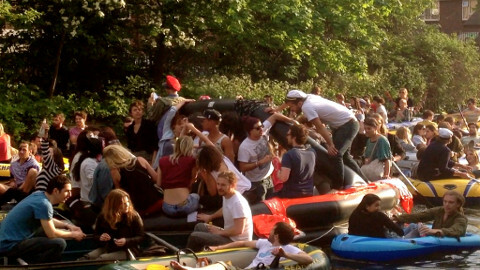 The idea for the ‘Canalival’ originated from last year’s alternative Diamond Jubilee pageant which saw hundreds of royally-dressed partygoers float their way from Gainsborough Studios in Shoreditch Park to Broadway Market, accompanied by music. Jon Guest the waterway manager at the Canal and River Trust, said the charity was disappointed with the event’s organisation and the “dreadful mess” left in its aftermath, which took contractors and volunteers working more than 12 hours to clean-up. 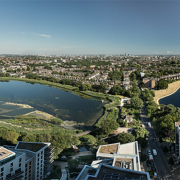 “We are not happy, we love people enjoying themselves on the waterways, but not when it comes at the expense of the canal, its wildlife and its other users and neighbours,” he said.